It is always a pleasure to share some of the apps in the market that are so empowering to the consumer and yet simple to use. I have 2Player installed in my Samsung Galaxy S for quite a while. It’s the app I use when I want to listen my entire music collection stored in my desktop from my Android phone via WiFi Home Network. 2Player allows me to select the source device where you want to choose your music from, and to select the target device where you want to play out the music to. With that flexibility, I can select music from any supported device and playback the music from any other supported device! Making 2Player work would be easy if DLNA or UPnP are already running in your devices. These services basically ensure your devices are already enabled for media sharing, and with that you should be able to select them from your 2Player source/target lists. Many of the high-end TV sets come with built-in DLNA feature. For the PC, if you run Windows 7 OS, just run Windows Media Player which already comes with the capability to support remote media streaming. Once started, all music files under “My Music” folder will be visible for your remote enjoyment. 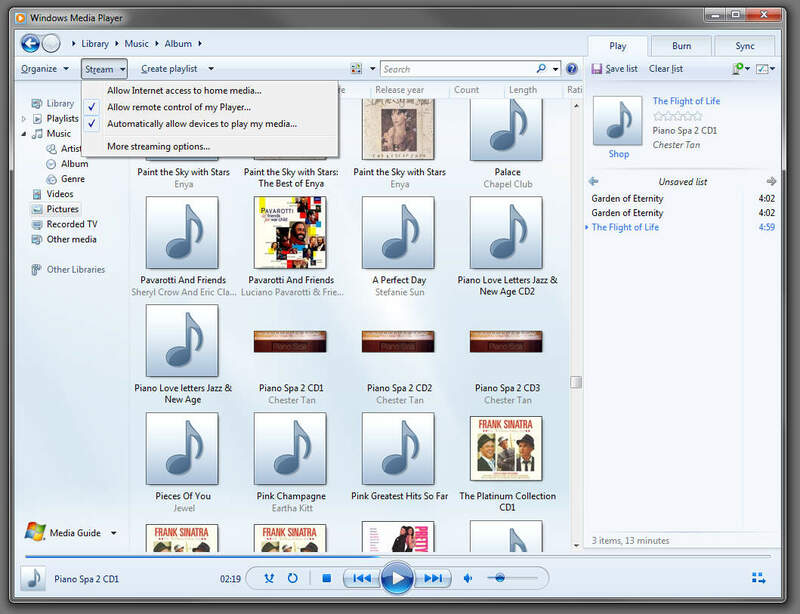 If you don’t have Windows 7, you have to install third-party DLNA or UPnP software. 2Player supports widgets so you can see the current song title, pause the playback or go to the next track from your Android homescreen. 2Player app status is also visible from the notification screen but pressing it will only pause the playback and not open the app. Do expect the music playback to break up occasionally when your Android device is busy, though I hope they could optimise the data streaming, because no one likes their music to be interrupted. 2Player is currently free for download, but you can pay the small fee to remove the ads. how to i work this with my xbox 360? ?